The original non-concrete sidewalk, Rubbersidewalks™ data shows that tree roots grow less invasively beneath a modular system and offers a new strategy for sidewalk maintenance. 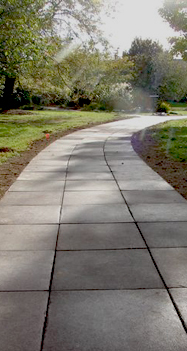 Rubbersidewalks™ remains the foremost solution for invasive heritage trees, and qualifies for all tire recycling grant programs. Each square foot diverts almost one entire passenger tire from landfills.